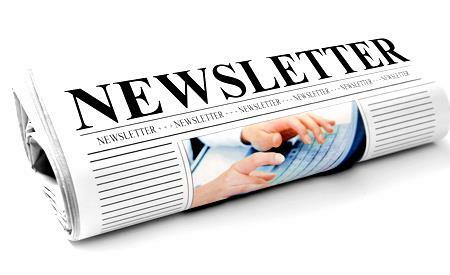 During each quarter of the year, we publish a newsletter of interest to homeowners and potential homeowners, featuring money-saving tips, household safety checklists, home improvement advice, real estate insider secrets, market reports, etc. Whether you currently are in the market for a new home, or not, we hope that this information is of value to you. Please feel free to pass these articles on to your family and friends. Our sincere THANKS go out to Liz and to all others who made a referral over the past quarter! We really appreciate those referrals as they reflect YOUR satisfaction with our services and they help US continue to grow! Keep your referrals coming for the next quarterly draw!! Autumn treats us to cooler temperatures and brilliant colours. But don't get so comfortable that you forget to do your fall chores! Take advantage of this comfortable weather to treat your home to the maintenance it needs. As with most home maintenance tasks, preparing your home for fall isn’t tricky, just time-consuming. Putting it off causes problems that can wind up costing more money, so set aside time over the next couple of weekends to get these jobs done. You will be glad you did! 1. Fertilize Your Lawn. Fertilizing your lawn in autumn protects it over the winter and helps it green up faster come springtime. Fall feeding is especially important in areas with hot dry summers. Dosing your lawn with fertilizer in autumn will trigger the renewed growth of both blades and roots, so your grass will be thick and healthy again before winter’s colder temperatures set in. 2. Get Your HVAC Serviced. Your AC has been faithfully chugging along all summer. Now it’s time to give it a rest. Before you tuck it away for the winter, be sure to clean the coils. You can find YouTube videos showing how to do this safely. If you’re done using the AC for the year, cover the outdoor unit to keep debris and ice from damaging your system. Then move indoors and switch your thermostat from cooling to heating. Change the filter, too. You should also make sure all indoor vents are uncovered. 3. Clean The Gutters. Clogged gutters will channel water down the side of your home where it eventually damages the foundation and can flood your basement. So get a ladder and pull debris out of the gutters by hand. If you have a one-story house, you can use this leaf-blower attachment to blast the stuff. Still too much work? Hire a gutter cleaning company — they’re worth it! 4. Drain And Store Your Lawn Equipment. Over time, unused fuel goes through chemical changes that create deposits and destroy your lawn equipment. So drain the tanks of your lawn mower, leaf blower, and weed eater before storing them. Fall is also an excellent time to get your lawn mower blades sharpened so they’ll be ready for next Spring. 5. Turn Off And Drain Outdoor Faucets And Sprinklers. Outdoor hoses and pipes will burst if they’re full of water when the temperatures plunge below freezing. While replacing a garden hose isn’t that difficult, it’s incredibly expensive to dig up your lawn’s sprinkler system to deal with burst pipes. So, disconnect your outdoor hoses and turn off the outdoor water supply. Open outdoor faucets and run your sprinkler system to drain any remaining water. Then take these steps to prevent frozen pipes. 6. Inspect And Clean Your Chimney. You want to prevent filling your home with soot, smoke, and carbon monoxide because your chimney isn’t working correctly. Even gas fireplaces need an inspection to ensure the pipe is free of cracks that can allow smoke to enter your home. This job is best left to the professionals! 7. Get Your Ice Melt And Snow Blower Ready. By the time winter arrives, it’s often too late to find snow gear. Stock up on such things in autumn when they’re plentiful and lower-priced. Even if you think you’ve got enough left from last year, or that your snow blower or shovel are in good shape, take a few moments to check. You don’t want to get caught out in the cold finding out you’re wrong! We actively follow up with every lead daily - so no balls are dropped. Our sincere THANKS go out to Michelle and to all who entered the draw! We really appreciate those referrals as they reflect YOUR satisfaction with our services and they are OUR bread and butter!!! Keep your referrals coming for the NEXT DRAW! Where Should I Invest in Real Estate? 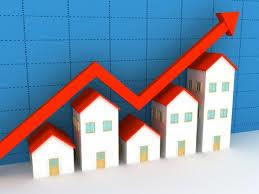 The real estate investment market is hot and getting hotter for buying homes and renting them out! This market continues to be a positive venture according to the experts. A growing population – and in some cases provincial legislation - are pushing people to rural municipalities to invest in real estate. And there are plenty of opportunities. “Everywhere you look, there is opportunity for investment,” says Ettore Cardarelli, president of the Ontario Real Estate Association (OREA). “For anyone who wants to go that route, in my mind, it’s better sooner than later.” He says continuing and past trends indicate the housing market will remain strong. Experts generally agree it’s a great idea because of market potential and a high rate of return. According to research by the Real Estate Investment Network (REIN), flourishing markets in Ontario include Hamilton, the Tech Triangle of Kitchener-Waterloo and Cambridge, Barrie, Milton, Orillia and Scarborough. “We take into account 12 economic fundamentals of region, including transportation, accessibility, lifestyle, current pricing and property supply to uncover the truth about markets,” says REIN President Don Campbell. In today’s market, says Campbell, it is critical that investors are patient and are only buying properties where revenues outstrip operating expenses, including mortgage. As well, given the anticipated increase in utility prices, investors should ensure the tenant bears the cost. Properties that are ground-oriented will have the highest rate of increase in value and demand over the next five years, he says. Condos will also do well, but without an associated increase in land costs, the actual values will not go up as much. Adding to that, you should consider purchasing a property with an accessory suite or with a legal basement apartment. If you have an aggressive savings plan, live in the unit that rents for less. Or if you live near a post-secondary school (university or college), rent out rooms to students. Another option includes investing strategically by charging above-market rent and giving the tenant the option to purchase the investment property at a set future price. This is known as a “rent to own” option. Don Campbell also points out that the Ontario government has put in a foreign tax in the Greater Toronto and Golden Horseshoe area (i.e., Durham, York, Peel, Halton, Hamilton and Niagara). “It won’t take long for people to realize that it’s ok for them to go to Woodstock or Orillia or further out, because the tax doesn’t apply there,” he says. Whether you invest in commercial or residential properties, you really need to know what your goals are, your risk tolerance, your investment capacity and how much time you have to invest. Think of it as a slow and steady long-term strategy, not a get-rich quick scheme. Remember not to buy with emotion, but to do an in-depth analysis of the market. Look at trends published in studies done by investment networks and heed advice given by experts in the field, such as realtors with experience in investment, property managers, accountants and real estate lawyers. Educate yourself about the economics of the area, such as jobs, rate of development, new incoming investments, and population growth. The best people to learn from are those who have already achieved success! Protect this key asset by making sure your home is winter-ready. Here are 5 quick tips! Managing water flow is vital when freezing temperatires set in. Minimize places where liquid could freeze and expand to create leaks within gutters and downspouts. Secure shingles as well. Water expansion can wreak havoc on pipes. To prevent them from bursting, you can shut off the water supply to your outside tap in October. Prune greenery so that nothing touches your walls. Wet leaves and brances brushing up against your house can erode brick and degrade siding. Have your furncae serviced and change or clean your filter by November to make sure that it is working at optimal effiencey. Identify drafts that are entering through doors, window or trim to keep your heat inside your home. You can detect leaks around the house with a small devie that release smoke indicating drafty spots, called a smoke pencil. Fill the gaps with caulking, spray foam or weatherstripping. Whether you are buying a new property or selling your existing home, we appreciate your confidence in our systems to help you with your real estate needs. Visit our website regularly and experience state-of-the-art property marketing and home search tools designed to leverage opportunity and success in your real estate transactions. KITCHENER-WATERLOO, ON (October 13, 2015) –– There were are total of 395 home sales through the Multiple Listing System (MLS®) of the Kitchener-Waterloo Association of REALTORS® (KWAR) in September compared to 444 during the same period in 2014, a decrease of 11.0%. Year-to-date 4,393 homes were sold, which is the highest number of units sold to the end of the third quarter since 2008, and 4.6% above the same time last year. Single detached homes in September sold for an average price of $387,219 a decrease of 1.0% compared to last year. The average sale price for a condominium was $246,933 an increase of 6.2%, while the average sale price of all residential sales in KW and Area increased 2.4% to $347,633 compared to September 2014. "We’re continuing to experience steady residential activity in the Region," said Mark Wolle, President of KWAR. "This reinforces the diversity of our economy and the appeal of the Region as a place to live and work as we continue to grow." Residential sales in September included 274 single detached homes (down 2.5% from last September), 36 semi-detached (up 2.9%), 26 townhomes (down 16.1%) and 61 condominium units (down 37.1%). "September’s relaxed sales numbers are not out of the ordinary, especially since this a very busy time of year for most people and the thought of selling or buying at this time can be stressful," commented Mark Wolle. "Having a REALTOR® on your side can help alleviate that stress and ensure that such an important decision is made with confidence and care." The KWAR cautions that average sale price information can be useful in establishing long term trends, but should not be used as an indicator that specific properties have increased or decreased in value. The average sale price is calculated based on the total dollar volume of all properties sold. Those requiring specific information on property values should contact a local REALTOR®. Did you know that the average family spends close to $1300 a year on their home's utility bills? Unfortunately, a large portion of that energy is wasted. By using a few inexpensive energy efficient measures, you can reduce your energy bills by 10% to 50% and, at the same time, help reduce air pollution. The key to achieving these savings is a whole house energy efficiency plan. To take a whole house approach, view your home as an energy system with interdependent parts. For example, your heating system is not just a furnace, it's a heat delivery system that starts at the furnace and delivers heat throughout your home using a network of ducts. You may have a top-of-the-line, energy efficient furnace, but if the ducts leak and are uninsulated, and your walls, attic, windows, and doors are uninsulated, your energy bills will remain high. Taking a whole house approach to saving energy ensures that dollars you invest in energy efficiency are wisely spent. This information shows you how easy it is to reduce your home energy use. It is a guide to easy, practical solutions for saving energy throughout your home, from the insulating system that surrounds it to the appliances and lights inside. These valuable tips will save you energy and money and, in many cases, help the environment by reducing pollution and conserving our natural resources. The first step to taking a whole house energy efficiency approach is to find out which parts of your house use the most energy. A home energy audit will show you where these are and suggest the most effective measures for reducing your energy costs. You can conduct a simple home energy audit yourself, you can contact your local utility, or you can call an independent energy auditor for a more comprehensive examination. Check the level of insulation in your exterior and basement walls, ceilings, attic, floors, and crawl spaces. Check for holes or cracks around your walls, ceilings, windows, doors, light and plumbing fixtures, switches, and electrical outlets that can leak air into or out of your home. Check for open fireplace dampers. 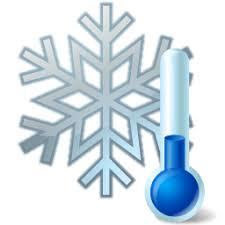 Make sure your appliances and heating and cooling systems are properly maintained. Study your family's lighting needs and use patterns, paying special attention to high use areas such as the living room, kitchen, and exterior lighting. Look for ways to use daylight, reduce the time the lights are on, and replace incandescent bulbs and fixtures with compact fluorescent lamps or standard fluorescent lamps. How long will it take for an investment in energy efficiency to pay for itself in energy savings? Can you do the job yourself, or will you need to hire a contractor? 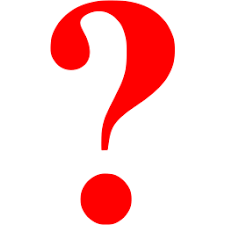 What is your budget and how much time do you have to spend on maintenance and repair? Another option is to get the advice of a professional. Many utilities conduct energy audits for free or for a nominal charge. For a fee, a professional contractor will analyze how your home's energy systems work together as a system and compare the analysis against your utility bills. He or she will use a variety of equipment such as blower doors, infrared cameras, and surface thermometers to find inefficiencies that cannot be detected by a visual inspection. Finally, they will give you a list of recommendations for cost effective energy improvements and enhanced comfort and safety. Checking your home's insulating system is one of the fastest and most cost efficient ways to use a whole house approach to reduce energy waste and maximize your energy dollars. A good insulating system includes a combination of products and construction techniques that provide a home with thermal performance, protect it against air infiltration, and control moisture. 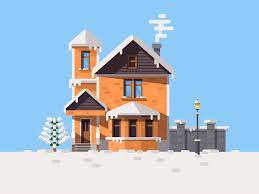 You can increase the comfort of your home while reducing your heating and cooling needs by up to 30% by investing just a few hundred dollars in proper insulation and weatherization products. Consider factors such as your climate, building design, and budget when selecting insulation R-value for your home. Ventilation plays a large role in providing moisture control and reducing summer cooling bills. Install attic vents to help make sure that there is one inch of ventilation space between the insulation and roof shingles. Attic vents can be installed along the entire ceiling cavity to help ensure proper airflow from the soffit to the attic, helping to make a home more comfortable and energy efficient. Do not block vents with insulation, and keep insulation at least 3 inches away from recessed lighting fixtures or other heat producing equipment unless it is marked "I.C." - designed for direct insulation contact. The easiest and most cost effective way to insulate your home is to add insulation in the attic. To find out if you have enough attic insulation, measure the thickness of insulation. If there is less than R-19 (6 inches of fiber glass or rock wool or 5 inches of cellulose) you could probably benefit by adding more. Most homes should have between R-19 and R-49 insulation in the attic. If your attic has ample insulation and your home still feels drafty and cold in the winter or too warm in the summer, chances are you need to add insulation to the exterior walls as well. This is a more expensive measure that usually requires a contractor, but it may be worth the cost if you live in a very hot or cold climate. Warm air leaking into your home during the summer and out of your home during the winter can waste a substantial portion of your energy dollars. One of the quickest dollar-saving tasks you can do is caulk, seal, and weather strip all seams, cracks, and openings to the outside. You can save 10% or more on your energy bill by reducing the air leaks in your home. Heating and cooling your home uses more energy and drains more energy dollars than any other system in your home. No matter what kind of heating, ventilation, and air conditioning system you have in your house, you can save money and increase comfort by properly maintaining and upgrading your equipment. By combining proper equipment maintenance and upgrades with appropriate insulation, weatherization, and thermostat settings, you can cut your energy bills and your pollution output in half. Clean warm air registers, baseboard heaters, and radiators as needed; make sure they're not blocked by furniture, carpeting, or drapes. Bleed trapped air from hot water radiators once or twice a season; if in doubt about how to perform this task, call a professional. Keep draperies and shades open on south facing windows during the heating season to allow sunlight to enter your home; close them at night to reduce the chill you may feel from cold windows. Close an unoccupied room that is isolated from the rest of the house, such as in a corner, and turn down the thermostat or turn off the heating for that room or zone. However, do not turn the heating off if it adversely affects the rest of your system. For example, if you heat your house with a heat pump, do not close the vents - closing the vents could harm the heat pump. Select energy efficient equipment when you buy new heating equipment. Your contractor should be able to give you energy fact sheets for different types, models, and designs to help you compare energy usage. Heat pumps are the most efficient form of electric heating in moderate climates, providing three times more heating than the equivalent amount of energy they consume in electricity. There are three types of heat pumps: air-to-air, water source, and ground source. They collect heat from the air, water, or ground outside your home and concentrate it for use inside. Heat pumps do double duty as a central air conditioner. They can also cool your home by collecting the heat inside your house and effectively pumping it outside. A heat pump can trim the amount of electricity you use for heating as much as 30% to 40%. Using the sun to heat your home through passive solar design can be both environmentally friendly and cost effective. In many cases, you can cut your heating costs by more than 50% compared to the cost of heating the same house that does not include passive solar design. Passive solar design techniques include placing larger, insulated windows on south facing walls and locating thermal mass, such as a concrete slab floor or a heat absorbing wall, close to the windows. However, a passive solar house requires careful design, best done by an architect for new construction or major remodeling. Keep all south facing glass clean. When you use the fireplace, reduce heat loss by opening dampers in the bottom of the firebox (if provided) or open the nearest window slightly, approximately 1 inch, and close doors leading into the room. Lower the thermostat setting to between 50 and 55F. Install tempered glass doors and a heat air exchange system that blows warmed air back into the room. It might surprise you to know that buying a bigger room air conditioning unit won't necessarily make you feel more comfortable during the hot summer months. In fact, a room air conditioner that's too big for the area it is supposed to cool will perform less efficiently and less effectively than a smaller, properly sized unit. This is because room units work better if they run for relatively long periods of time than if they are continually, switching off and on. Longer run times allow air conditioners to maintain a more constant room temperature. Running longer also allows them to remove a larger amount of moisture from the air, which lowers humidity and, more importantly, makes you feel more comfortable. Sizing is equally important for central air conditioning systems, which need to be sized by professionals. If you have a central air system in your home, set the fan to shut off at the same time as the cooling unit (compressor). In other words, don't use the system's central fan to provide circulation, but instead use circulating fans in individual rooms. Set the fan speed on high except in very humid weather. When it's humid, set the fan speed on low. You'll get better cooling, and slower air movement through the cooling equipment allows it to remove more moisture from the air, resulting in greater comfort. Don't place lamps or TV sets near your air conditioning thermostat. The thermostat senses heat from these appliances, which can cause the air conditioner to run longer than necessary. Using a programmable thermostat, you can adjust the times you turn on the heating or air conditioning according to a preset schedule. As a result, you don't operate the equipment as much when you are asleep or when the house or part of the house is not occupied. (These thermostats are not meant to be used with heat pumps.) Programmable thermostats can store and repeat multiple daily settings (six or more temperature settings a day) that you can manually override without affecting the rest of the daily or weekly program. Your home's duct system is one of the most important systems in your home, and may be wasting a lot of your energy dollars. It is a branching network of tubes in the walls, floors, and ceilings, carries the air from your home's furnace and central air conditioner to each room. Sealing your ducts to prevent leaks is even more important if the ducts are located in an unconditioned area such as an attic or vented crawl space. If the supply ducts are leaking, heated or cooled air can be forced out unsealed joints and lost. Although minor duct repairs are easy to accomplish, ducts in unconditioned spaces should be sealed and insulated by qualified professionals using the appropriate sealing materials. Here are a few simple tips to help with minor duct repairs. Remember that insulating ducts in the basement will make the basement colder. If both the ducts and the basement walls are un-insulated, consider insulating the basement walls and the ducts. Be sure a well sealed vapor barrier exists on the outside of the insulation on cooling ducts to prevent moisture build up. Get a professional to help you insulate and repair all ducts. Water heating is the third largest energy expense in your home. It typically accounts for about 14% of your utility bill. There are four ways to cut your water heating bills: use less hot water, turn down the thermostat on your water heater, insulate your water heater, and buy a new, more efficient water heater. A family of four, each showering for 5 minutes a day, uses 700 gallons of water a week; this is enough for a 3-year supply of drinking water for one person. You can cut that amount in half simply by using low-flow showerheads and faucets. Insulate your electric hot water storage tank and pipes, but be careful not to cover the thermostat. Insulate your gas or oil hot water storage tank and pipes, but be careful not to cover the water heater's floor, top, thermostat, or burner compartment; when in doubt, get professional help. Install aerators in faucets and low flow showerheads. Buy a new water heater with a thick, insulating shell; while it may cost more initially than one without insulation, the energy savings will continue during the lifetime of the appliance. Lower the thermostat on your water heater; water heaters at a setting of 115°F provide comfortable hot water for most uses. Insulate your water heater to save energy and money. Take more showers than baths. Bathing uses the most hot water in the average household. You use 15­25 gallons of hot water for a bath, but less than 10 gallons during a 5-minute shower. If you heat with electricity and you have a non-shaded, south-facing location (such as a roof) on your property, consider installing a solar water heater. Solar water heating systems are also good for the environment. Solar water heaters avoid the harmful greenhouse gas emissions associated with electricity production. During a 20 year period, one solar water heater can avoid over 50 tons of carbon dioxide emissions. Windows can be one of your home's most attractive features. Windows provide views, daylight, ventilation, and solar heating in the winter. Unfortunately, they can also account for 10% to 25% of your heating bill. During the summer, sunny windows make your air conditioner work two to three times harder. If you live in the Sun Belt, look into new solar control spectrally selective windows, which can cut the cooling load by more than half. If your home has single pane windows, as almost half of homes do, consider replacing them. New double pane windows with high performance glass (e.g., low-e or spectrally selective) are available on the market. In colder climates, select windows that are gas filled with low emissivity ( low-e) coatings on the glass to reduce heat loss. In warmer climates, select windows with spectrally selective coatings to reduce heat gain. If you are building a new home, you can offset some of the cost of installing more efficient windows because doing so allows you to buy smaller, less expensive heating and cooling equipment. Install exterior or interior storm windows; storm windows can reduce your heat loss through the windows by 25% to 50%. Storm windows should have weather stripping at all moveable joints; be made of strong, durable materials; and have interlocking or overlapping joints. Low-e storm windows save even more energy. Install tight fitting, insulating window shades on windows that feel drafty after weatherizing. Keep windows on the south side of your house clean to maximize solar gain. Close curtains on south and west facing windows. Apply sun control or other reflective films on south-facing windows to reduce solar gain. Carefully positioned trees can save up to 25% of a typical household's energy for heating and cooling. Properly placed trees around the house, can save an average household between $100 and $250 in heating and cooling energy costs annually. During the summer months, the most effective way to keep your home cool is to prevent the heat from building up in the first place. A primary source of heat buildup is sunlight absorbed by your home's roof, walls, and windows. Dark colored home exteriors absorb 70% to 90% of the radiant energy from the sun that strikes the home's surfaces. Some of this absorbed energy is then transferred into your home by way of conduction, resulting in heat gain inside the house. In contrast, light colored surfaces effectively reflect most of the heat away from your home. Landscaping can also help block and absorb the sun's energy to help decrease heat build up in your home by providing shade and evaporative cooling. Increasing your lighting efficiency is one of the fastest ways to decrease your energy bills. If you replace 25% of your lights in high use areas with fluorescents, you can save about 50% of your lighting energy bill. Use linear fluorescent and energy efficient compact fluorescent lamps (CFLs) in fixtures throughout your home to provide high quality and high efficiency lighting. Fluorescent lamps are much more efficient than incandescent bulbs and last 6 to 10 times longer. Use task lighting; instead of brightly lighting an entire room, focus the light where you need it. For example, use fluorescent under cabinet lighting for kitchen sinks and countertops under cabinets. Consider three way lamps; they make it easier to keep lighting levels low when brighter light is not necessary. Consider using 4 watt mini fluorescent or electro luminescent night lights. Both lights are much more efficient than their incandescent counterparts. The luminescent lights are cool to the touch. Use CFLs in all the portable table and floor lamps in your home. For spot lighting, consider CFLs with reflectors. The lamps range in wattage from 13 watt to 32 watt and provide a very directed light using a reflector and lens system. Take advantage of daylight by using light colored, loose weave curtains on your windows to allow daylight to penetrate the room while preserving privacy. Also, decorate with lighter colors that reflect daylight. Many homeowners use outdoor lighting for decoration and security. When shopping for outdoor lights, you will find a variety of products, from low-voltage pathway lighting to high sodium motion detector floodlights. Some stores also carry lights powered by small photovoltaic (PV) modules that convert sunlight directly into electricity; consider PV-powered lights for areas that are not close to an existing power supply line. Turn off decorative outdoor gas lamps; just eight gas lamps burning year round use as much natural gas as it takes to heat an average size home during an entire winter. Appliances account for about 20% of your household's energy consumption, with refrigerators and clothes dryers at the top of the consumption list. When you're shopping for appliances, you can think of two price tags. The first one covers the purchase price - think of it as a down payment. The second price tag is the cost of operating the appliance during its lifetime. You'll be paying on that second price tag every month with your utility bill for the next 10 to 20 years, depending on the appliance. Refrigerators last an average of 20 years; room air conditioners and dishwashers, about 10 years each; clothes washers, about 14 years. Most of the energy used by a dishwasher is for water heating. The Energy Guide label estimates how much power is needed per year to run the appliance and to heat the water based on the yearly cost of gas and electric water heating. Scrape, don't rinse, off large food pieces and bones. Soaking or prewashing is generally only recommended in cases of burned on or dried on food. Let your dishes air dry; if you don't have an automatic air dry switch, turn off the control knob after the final rinse and prop the door open a little so the dishes will dry faster. Remember that dishwashers use less water than washing dishes by hand, about 6 gallons less per load; dishwashers also use hotter water than you would use if you were washing the dishes by hand, so they can do a better job of killing germs. Refrigerators with the freezer on top are more efficient than those with freezers on the side. The Energy Guide label on new refrigerators will tell you how much electricity in kilowatt hours (kWh) a particular model uses in one year. The smaller the number, the less energy the refrigerator uses and the less it will cost you to operate. Look for a refrigerator with automatic moisture control. Models with this feature have been engineered to prevent moisture accumulation on the cabinet exterior without the addition of a heater. This is not the same thing as an "anti sweat" heater. Models with an anti sweat heater will consume 5% to 10% more energy than models without this feature. Don't keep your refrigerator or freezer too cold. Recommended temperatures are 37° to 40°F for the fresh food compartment of the refrigerator and 5°F for the freezer section. If you have a separate freezer for long term storage, it should be kept at 0°F. Regularly defrost manual defrost refrigerators and freezers; frost build up increases the amount of energy needed to keep the motor running. Don't allow frost to build up more than one quarter of an inch. Move your refrigerator out from the wall and vacuum its condenser coils once a year unless you have a no clean condenser model. Your refrigerator will run for shorter periods with clean coils. Be sure to place the faucet lever on the kitchen sink in the cold position when using small amounts of water; placing the lever in the hot position uses energy to heat the water even though it never reaches the faucet. If you need to purchase a gas oven or range, look for one with an automatic, electric ignition system. An electric ignition saves gas - typically 41% in the oven and 53% on the top burners - because a pilot light is not burning continuously. In gas appliances, look for blue flames; yellow flames indicate the gas is burning inefficiently and an adjustment may be needed. Keep range top burners and reflectors clean; they will reflect the heat better, and you will save energy. About 80% to 85% of the energy used for washing clothes is for heating the water. There are two ways to reduce the amount of energy used for washing clothes - use less water and use cooler water. Unless you're dealing with oily stains, the warm or cold water setting on your machine will generally do a good job of cleaning your clothes. Switching your temperature setting from hot to warm can cut a load's energy use in half. When shopping for a new washer, look for a front loading (horizontal axis) machine. This machine may cost more to buy but uses about a third of the energy and less water than a top loading machine. With a front loader, you'll also save more on clothes drying, because they remove more water from your clothes during the spin cycle. When shopping for a new clothes dryer, look for one with a moisture sensor that automatically shuts off the machine when your clothes are dry. Not only will this save energy, it will save wear and tear on your clothes caused by over drying. Keep in mind that gas dryers are less expensive to operate than electric dryers. The cost of drying a typical load of laundry in an electric dryer is 30 to 40 cents compared to 15 to 25 cents in a gas dryer. Wash your clothes in cold water using cold water detergents whenever possible.